The I Ching, or Book of Changes, has been one of the two or three most influential books in the Chinese canon. It has been used by people on all levels of society, both as a method of divination and as a source of essential ideas about the nature of heaven, earth, and humankind. During the eleventh and twelfth centuries, Sung dynasty literati turned to it for guidance in their fundamental reworking of the classical traditions. This book explores how four leading thinkers--Su Shih, Shao Yung, Cheng I, and Chu Hsi--applied the I Ching to these projects. These four men used the Book of Changes in strikingly different ways. Yet each claimed to find in it a sure foundation for human values. Their work established not only new meanings for the text but also new models for governance and moral philosophy that would be debated throughout the next thousand years of Chinese intellectual history. 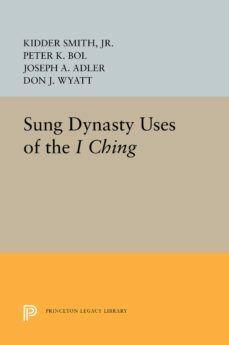 By focusing on their uses of the I Ching, this study casts a unique light on the complex continuity-within-change and rich diversity of Sung culture.Originally published in 1990.The Princeton Legacy Library uses the latest print-on-demand technology to again make available previously out-of-print books from the distinguished backlist of Princeton University Press. These paperback editions preserve the original texts of these important books while presenting them in durable paperback editions. The goal of the Princeton Legacy Library is to vastly increase access to the rich scholarly heritage found in the thousands of books published by Princeton University Press since its founding in 1905.